Successfully represented a European company, resulting in just under $6 million in Oil Ministry fund restoration, a first in recent history for the Ministry. Advised clients on the Iraqi legal framework for arbitration clauses in commercial agreements. Acted successfully for an international company to prevent goods from being sold at auction at one of the Basra ports. Advised an IOC subcontractor on the application of Iraqi law on contractual provisions, the issuance of visas, and registration requirements. Negotiated and drafted an agreement for an international corporate investor with a local oil services company. Advised a major international insurance company on potential liability for a port operator at one of the major ports in Basra. Represented international corporations seeking to establish Iraq-based operations. Effectively represented foreign investors against a fraudulent judicial complaint in a high profile case with millions of dollars at stake. Both the judge and opposing counsel faced criminal charges after the case was adjudicated. 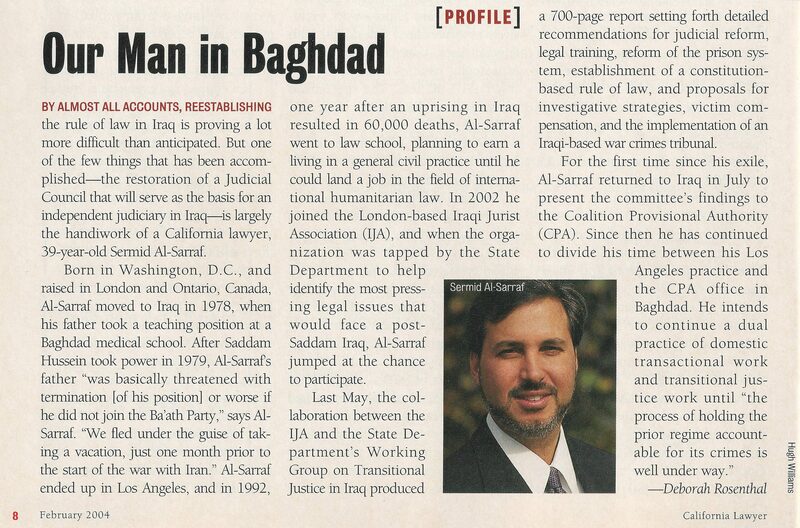 Appeared as an expert witness in U.S. federal court on issues relating to Iraqi law. 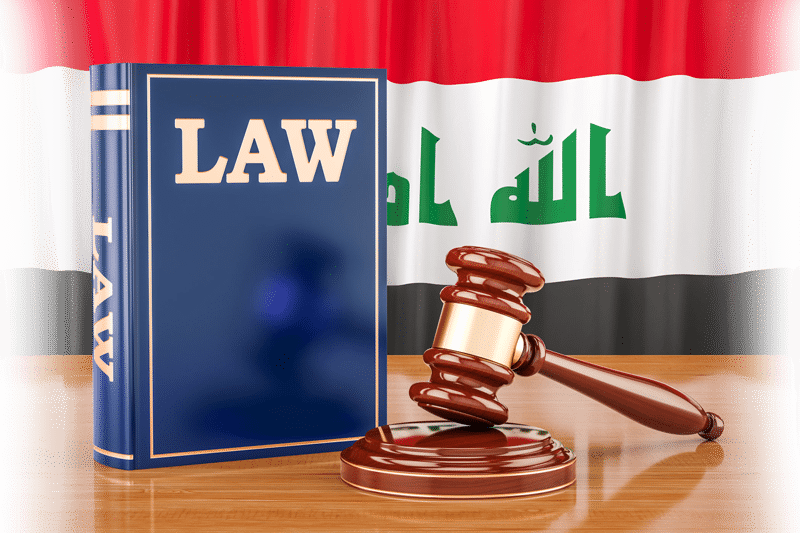 Provided legal consultations to international law firms and their clients on issues ranging from distributorship agreements to tax consequences and lending requirements for an international lending institution interested in working in Iraq. Successfully represented an international firm in a dispute with an Iraqi ministry which resulted in the payment of a multi-million dollar invoice. Represented the family of a European aid worker during criminal proceedings against the defendant charged with her kidnapping and murder. Provided expert testimony before the UK High Court in multiple cases involving the application of Iraqi law.